Chinmaya Mission Atlanta will host Jnana Yagna, 3/21 to 3/24. By Swamini VimalanandaJi on "Sure Mantras for Success", her phenomenal style on Bhagavad Gita. Mantras are not just for chanting. They are also inspirational words that can help us reveal our true potentials leading to success. Venue: Chinmaya Niketan, 5511 WIlliam Rd, Norcross, GA 30093. 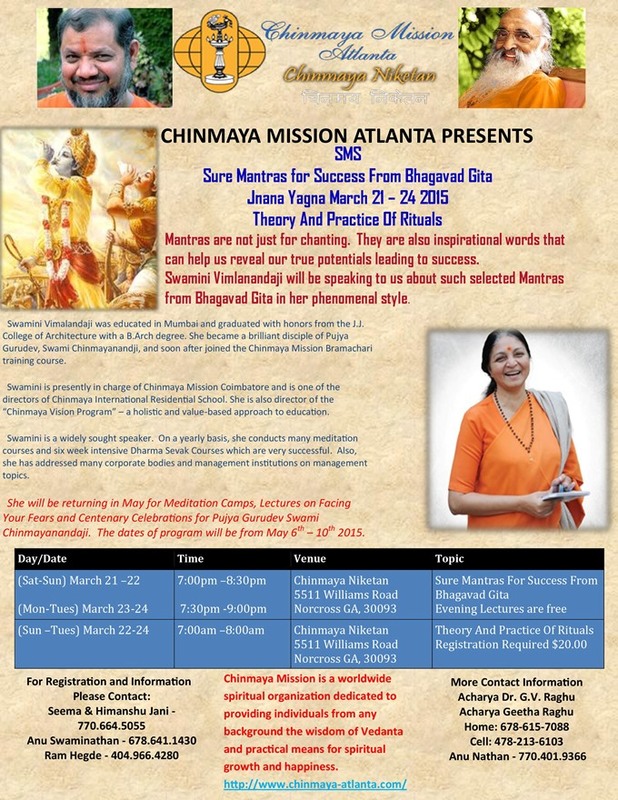 Contact: 770-664-5055 or 678-641-1430. www.chinmaya-atlanta.com"